The year gone by 2018 has been a nightmare, it started with the ball-tampering fiasco that shook the world and then the dip in form and quality in Australian Cricket. The year gone by 2018 has been a nightmare, it started with the ball-tampering fiasco that shook the world and then the dip in form and quality in Australian Cricket. 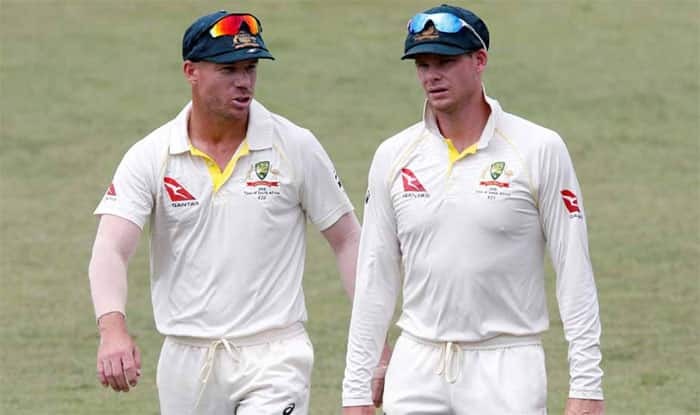 The ball-tampering fiasco involving David Warner, Steve Smith and Cameron Bancroft became a thing that did not go down well with Cricket Australia, who decided to ban the cricketer and that hurt the results in 2018. With the Cricket Australia Awards around the corner, it is believed that the tainted trio will not feature in any of the categories. “The eligibility rules for the Test, ODI and T20 International Players of the Year provide that where a player receives a suspension for a time period, rather than specific matches, the player is automatically disqualified from winning the award for any form of the game that the player played during the period of the suspension,” a CA spokesperson was quoted as saying in Sydney Morning Herald. The three cricketers have started featuring in domestic leagues. For Smith and Warner they are a part of the Bangladesh Premier League, whereas Bancroft plays the Big Bash League. Meanwhile, Cricket Australia officials confirmed on Saturday that Smith, who was sent home from the Bangladesh Premier League, had ligament damage, putting his World Cup and IPL aspirations in jeopardy. “Steve Smith will undergo surgery on Tuesday to repair a ligament in his right elbow. He is expected to wear a brace for six weeks before commencing rehabilitation,” a CA spokesperson said. Smith and fellow banned batsmen Warner were slated to return for action for the Kangaroos during the five-game ODI series against Pakistan in April. The series was seen as a vital tune-up before the World Cup in England.